Destroy the mobile energy lab. Research a Xsotan teleporter key. Buy a teleporter key from a travelling merchant. Get a teleporter key from the Haati. Overcome the barrier to the central regions of the galaxy. Fly to the very center of the galaxy. Beat the Xsotan wormhole guardian. Beat the Xsotan wormhole guardian without firing a single shot at it. Beat the Xsotan wormhole guardian without help from allies. Equip a ship with shields. Build a fully functional battleship. Own a ship with a firepower of over 9000 omicron. Destroy or rob a civil ship. Destroy or rob 20 civil ships. Destroy or rob 100 civil ships. Destroy 10 armed ships of normal AI factions or players. Destroy 100 armed ships of normal AI factions or players. 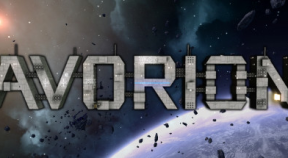 Destroy 500 armed ships of normal AI factions or players. Mine and collect Avorion for the first time. Mine and collect 100.000 resources. Buy or sell 10.000 goods. Fly 10.000 kilometers with your sublight engine. Why take a risk? Travel through 100 gates. Find and fly through a wormhole. Use your hyperspace engine to jump into 100 sectors. Use your hyperspace engine to jump into 1000 sectors. Travel a distance of 500 sectors. Travel a distance of 5000 sectors. Ask a few stupid questions. Destroy a medium sized ship in under a second. Go a speed that no man has ever gone before. Destroy a medium sized ship with a single shot. Do a barrel roll with your fully functional battleship.